File converter software converts a document from one file type to another. These solutions offer simple step-by-step processes to perform conversions, so that a user simply needs to upload the original document, select which file type they’d like the document to be converted to, and convert. Additionally, file converter software offers batch conversions so users can convert multiple documents to the same format at one time, and also typically supports converting between two specific file types. File converter software may also offer a recovery mode, so files can be safely converter from one format to another. These solutions typically integrate with file reader software to ensure that users can always access the files they need to read. File Converter reviews by real, verified users. Find unbiased ratings on user satisfaction, features, and price based on the most reviews available anywhere. Turn PDF documents to editable MS Office or OpenOffice file formats. Convert PDF files to JPG, PNG and other image formats. Use PDF Converter to convert PDF to AutoCAD and HTML as well. PDFtoWord Converter for Win is the simplest solution for converting PDF to editable Word documents. It is designed to boost productivity when you are working with PDF files and wish to turn them into Word files. All PDF converter Pro is designed to be a cost-effective, multi-purpose software that takes care of diverse PDF file conversion needs. PDF to Image Converter is a PDF conversion tool that prioritizes quality above everything else, allowing you to extract content from multiple PDF files and easily convert it to frequently-used high-quality image formats. WordtoPDF Converter for Win creates “Image-like” PDF documents and converts MS Word files to pictures. 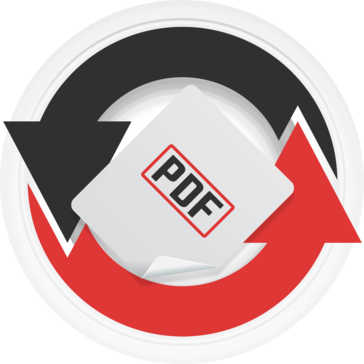 PDFShift provides developers with a tool to convert their HTML documents (raw or link) in PDF with high-fidelity. Packages are available for Node.js, Python, and PHP and the API allows any programming languages to be used. Features like watermarking and encryption are available along with many options to customize the rendered documents to your exact needs. PDFtoTxt Converter is designed to convert pdf to txt file easily and accurately. It also provides the feature of converting PDF to Latex format for usage of scientific document. Finally the solution to convert your transaction files into a readable format ready to archive or print. Convert PDF to CSV/Excel and import into Excel, QB Online, Xero, YNAB. Extract transaction data from text-based PDF files from your bank. Review transactions in a readable view before converting. Free trial (up to 10 transactions per file converted) is available. Support is available before and after purchase. ImagetoPDF Converter for Win converts JPG / PNG / BMP / JPEG files to PDF documents for free. Finally, the solution to import your transactions. Convert CSV to QFX and import into Quicken, (PC/Mac). Open files in XLS and XLSX or CSV formats. Created QFX files are regular Web Connect files for Quicken. Review transactions in a readable view before converting. Free trial (up to 10 transactions per file converted) is available. Support is available before and after purchase. Knowledge base with the solutions for similar conversions. Batch convert your files into different formats. Word, PDF, HTML, Open Doc, and more. Easy to use secure solution to review/convert your transactions and import into your accounting software. Convert CSV to QBO and import into Quickbooks, (PC/Mac/Online). Prepare transactions quickly in Excel and convert. Review transactions in a readable view before converting. Free trial (up to 10 transactions per file converted) is available. Support is available before and after purchase. Save time and avoid data entry and manual errors. Finally, the solution to import your transactions in the IIF format. Convert CSV to IIF and import into Quickbooks. Prepare transactions quickly in Excel and convert. Review transactions in a readable view before converting. Free trial (up to 10 transactions per file converted) is available. Support is available before and after purchase. Knowledge base with the solutions for similar conversions. Save time and avoid data entry and manual errors. Finally, the solution to import your transactions. Convert CSV to OFX and import into MS Money, Sage One, Xero, YNAB, AccountEdge, Bankivity, Ace Money. Open files in XLS and XLSX or CSV formats. Create importable OFX files. Review transactions in a readable view before converting. Free trial (up to 10 transactions per file converted) is available. Support is available before and after purchase. Save time and avoid data entry and manual errors. Need to import transactions, but the format is not supported? Convert PDF to QBO and import into Quickbooks, (PC/Mac/Online). Extract transaction data from text-based PDF files from your bank. Review transactions in a readable view before converting. Free trial (up to 10 transactions per file converted) is available. Support is available before and after purchase. Knowledge base with the solutions for similar conversions. ZonePDF.com is a convenient and practical tool for PDF conversion, PDF files can easily be merged, split and converted from JPEG, PNG, DOC, XLS, PPT and other formats. Icecream PDF Split & Merge for Mac is an app to split and merge PDF files on Mac easily. This app offers 4 split modes to select from. PDF files can be divided into single pages, can be split by page ranges or by groups of pages plus detached pages can be deleted from a PDF by their numbers. Finally, the solution to import your transactions. Convert PDF to QFX and import into Quicken, (PC/Mac). Extract transaction data from text-based PDF files from your bank. Created QFX files are regular Web Connect files for Quicken. Review transactions in a readable view before converting. Free trial (up to 10 transactions per file converted) is available. Support is available before and after purchase. Recovery is an Application that can easily recover corrupted PDF Files, The installation of Adobe PDF Reader is required to be installed on the computer in order to use this tool. CloudConvert helps to convert different types of audio, video, document, ebook, archive, image, spreadsheet, and presentations. DataNumen Word Repair (DWORDR) is a Word recovery tool. Finally, the solution to import your transactions. Convert PDF to OFX and import into MS Money, Sage One, Xero, YNAB, AccountEdge, Bankivity, Ace Money. Extract transaction data from text-based PDF files from your bank. Review transactions in a readable view before converting. Free trial (up to 10 transactions per file converted) is available. Support is available before and after purchase. Save time and avoid data entry and manual errors. Online repair service for Adobe Acrobat/PDF, AutoCAD, CorelDraw, Microsoft Excel, Microsoft FoxPro, Adobe Illustrator, Microsoft Outlook, Microsoft Outlook Express, Adobe Photoshop, Microsoft PowerPoint, Microsoft Project, Microsoft Word. The prominent EDB to PST converter tool to perform secure conversion of MS exchange database (EDB) files to Outlook-importable PST files. SysTools pen drive recovery to retrieve all the lost, deleted, formatted data from USB flash drive. It can easily restore all the lost images, documents, and videos from pen drive with both the FAT32 and NTFS data partitions. Finally the solution to convert your CSV or Excel transaction files into a easy to use CSV format ready to import. Convert CSV to CSV Mint/QB Online/Xero and import into Quicken Mac, QB Online, Xero, YNAB. Review transactions in a readable view before converting. Free trial (up to 10 transactions per file converted) is available. Support is available before and after purchase. Knowledge base with the solutions for similar conversions. DataNumen RAR Repair (DRAR) is a repair tool for corrupt or damaged RAR files. HTML to PDF API SelectPdf offers a REST API that can be used to convert html to pdf in any language with our dedicated cloud service. SAVE AS PDF LINK Add 'Convert to PDF' functionality to your site or blog in a very easy way. Just add a link to your web page and you are done. PDF LIBRARY FOR .NET SelectPdf offers a fully managed .NET library that can help you add pdf functionality to any .NET framework application. Officewise is a web-based application that allows to effortlessly manage purchase orders, inventory, invoices, bills and expenses. Need to convert a transactions file to easy to access or archive format? Convert OFX to CSV/Excel/PDF and import into Excel, QB Online, Xero, YNAB. Review transactions in a readable view before converting. Free trial (up to 10 transactions per file converted) is available. Support is available before and after purchase. Knowledge base with the solutions for similar conversions. Buy with confidence: money back guarantee is provided for 14 days. OutlookWare OST to PST converter software to export Offline OST files data to Outlook importable PST format with entire data items. PowerMockup provides a large collection of user interface elements and icons made entirely out of PowerPoint shapes. With these elements you easily can create screen prototypes of mobile, web, and desktop applications—right inside PowerPoint! Mac EML Converter helps users to migrate EML files in batch. Users can export EML files to PST, MBOX, EMLX in bulk on Mac OS. The provides the option to convert EML emails along with attachments and also offers to maintain folder hierarchy of the source EML file. SysTools PDF Unlocker Software is designed to facilitate unlocking password protected files. It allows users to remove all types of restrictions such as, extracting, printing, copying, editing from Adobe document. PST Converter Tool to convert PST file items like Email, Contacts, Calendars, etc. In some of the most commonly used file formats. The four different file formats are EML, MSG, PDF & vCard. This utility can even convert Corrupted and password protected PST Files. DataHelp MBOX to PST wizard is a converter software which converts MBOX files of 20+ MBOX compatible email clients into PST format. MBOX to PST Wizard convert the whole folder of MBOX files with their entire data & allow the user to create a single PST file. DataNumen Archive Repair (DARCR) is a archive data recovery suite. DataNumen Data Recovery (DDR) is a recovery tool for lost and deleted files and folders on drives. DataNumen Zip Repair(DZIPR) is a tool for repairing corrupt Zip and self-extracting(SFX) files. HTML 2 PDF Rocket is a web service to convert an HTML webpage into an image or PDF file. Kernel for OST To PST software converts OST file to Outlook PST file proficiently. The software saves restored data into a new Outlook PST file which can be simply imported into Outlook to access all the data. This software efficiently convert emails, journals, notes, contacts, calendar entries, attachments etc. This OST converter performs conversion of OST to Outlook PST file without disturbing the formatting of the real text and other various mail attributes. Online-Convert.com for G Suite is a file converter designed to let users convert media easily and in high quality from one format to another. In the digital age, we speak in the language of files. We have more than we know what to do with: documents, videos, audio files, photos, and numerous other formats. In order for them to reach their final destination or be used by the right person, their extensions or file types often need to be updated along the way. This is where conversion comes into play. Different media players or devices process raw files in different ways. If you download a user manual as a PDF, for example, this might not be supported by the applications on your computer. On the other hand, if you create a video but send it to a client for review, they may not be able to view it as created since you used a specific kind of software. These are just two (of many) cases where a converter tool would come in handy. With the right converter app, you can prepare this information for a new medium while preserving the contents. This way your documents can zip about as necessary between the varied applications your coworkers or clients may be using. The ability to convert files empowers your business with freedom and flexibility in creating, sharing, and using as many files as possible. Due to the complexity of various files, the majority of products in this category are designed to identify, compress, and convert particular formats and output them in a select number of different formats. Conversion, especially of large or detailed data (e.g., video, audio), is an intensive task. So rather than attempt to handle too many conversions, at the risk of doing a poor job with a particular format, these products are designed for converting files of a specific type. It’s easy to get a sense of these specializations by browsing the products featured in this category. In fact, many of the developers put the file types right in the name of the tool. Once you have an idea of the types of files you need to work with, or the specific extensions you’re aiming for in the end, you should be able to discern how a given application will assist you by reading the product name and the description. Whether you’re looking for a video converter, image converters, or something designed for Word documents, there is likely a solution to fit your needs. And because these products are typically small and affordable to download, you may wind up with several in the end. Crashing — Depending on the user interface, the type of file, and the file size, conversion could take anywhere from a few seconds to several hours. In this span of time, your app may lag or crash for any number of reasons, forcing you to start over from the beginning. This could also occur with your hardware if it is being overworked with a large transfer, or even just a random lapse in performance. If your source files are saved and backed up, this isn’t the end of the world. But it could cause frustration if you are on a deadline of any sort. Incomplete Transfers — Occasionally, when you convert a complex file, something can be lost in translation. This could mean that some content is missing from the completed file, components are out of place, or audio is missing from your video. It’s important to double-check your finished files to be sure they are processed successfully and as you intended. If there are any problems, check the settings on your program first to see if there is anything amiss. Limitations — As we previously discussed, products in this category are extremely specialized to handle one or just a few types of files. If you have a video converter, for example, it handles not only a specific media type—but probably a specific format related to that media type and not much else. If your job entails repeated conversions of different files, you may have to download a number of products to complete the full range of tasks. This is an easy fix on the surface, but these limitations could prove aggravating for some users. Along the lifecycle of your company’s files, a number of other software tools are likely to make an appearance. This begins with the brainstorming and developing of files. Solutions such as audio editing software, graphic design software, document creation software, and video software help users produce the kind of rich multimedia that is often associated with file conversion. If you are aware from the beginning which formats will be required for your end audience, these platforms may allow you to export files and save files with various extensions—so you essentially have multiple versions of the same file and don’t need to convert again. But even in these situations, it is helpful to have an audio file converter, or whichever kind you need, at your disposal. After your documents are created, they may travel between a number of users, disks, and devices over the course of their lives. This is where some of these additional software types may come into play. File Storage and Sharing Software — These tools are perhaps the most basic way to keep your files secure, organized, and accessible by the people in your organization who need them. With this software, users are allotted a certain amount of storage capacity and can upload their files into folders based on the project, team, file type, or however else they might want to organize them. Permissions are then determined by the system administrator or the individual uploaders as to who can view, edit, or download the files—whether this person is a fellow employee or a client across the world. These platforms are typically compatible with a wide range of file formats, but in cases where certain file types aren’t supported by the software, you can leverage a conversion tool to convert it as needed based on the type (e.g., a video converter to convert videos). Backup Software — Your important files are always at risk of being damaged, lost during transfers or computer crashes, or simply misplaced somewhere along the way. There is always the chance of user error as well. Backup software is designed to create note-for-note copies of selected batches of data or files from servers, devices, or databases. This is a proactive measure to take especially when it comes to valuable, confidential data or documents/files that were significant labors of love. If you are planning to transfer large-scale files after you convert them, you should definitely consider backing them up to be safe. Digital Asset Management Software — For media files you plan to use frequently, such as branded marketing materials (e.g., logos, banners, promotional videos), these tools can help streamline your storage, sharing, and collaborating processes. Digital asset management (DAM) products typically work with popular audio formats, image files, and video files, with features like thumbnail views to give creative and marketing teams a clean view of their files. Some DAM tools can also convert files between formats right from the platform and can host various versions of the same file so you can have different file formats ready when you need them. Email Software — Email is the most tried-and-true method of transferring files, so long as they aren’t too large. In the event of oversized videos or bulk batches of photos, it is recommended to use file storage and sharing software, video hosting software, or photo management software to transfer between clients, viewers, and colleagues. But for most other documents, sending them at email attachments is a fast, painless way to get them where they need to go. This also allows you to write a message in the body of the email to accompany the files that can help introduce it, ask questions, or add context for the recipient. Hi there! Can I help you find the best File Converter solutions?